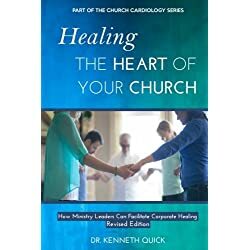 Find wholeness and healing from hurts that happen at church. We expect to be persecuted and hurt by the world. That is just the nature of the world. However many times it takes us by total surprise when people in the church send hurts our direction. Church hurt is never fun. 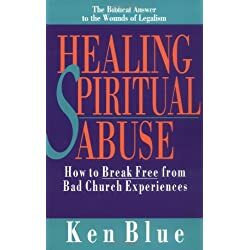 What do you do when people who are part of the church hurt you? How do you deal with the pain and find the place of healing? What are you supposed to do? How do you handle it? How do you get over church hurt? Leave the church? Confront the issue? Bury it? Lash out at the person who hurt you? When people are hurt by a church or church member, how can this conflict be resolved? What does this Bible say about this and how do you practically walk that out? I have been a part of the church for over 34 years now. I have been in pastoral ministry since 1988. 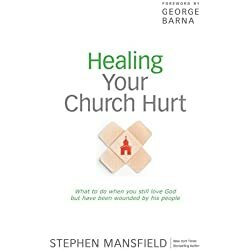 Currently, I am leading my church through a process of healing and reconciliation because of church hurt that has happened in the past to people. Here are a few of the things I have learned in getting over church hurts. When a pastor or a church leader or member hurts you, the first thing you need to do is to take it to God in prayer. Do you remember the old hymn written by Joseph Scriven in 1855 called “What a friend we have in Jesus? No matter what kind of hurt you’re dealing with, don’t rush into a confrontation with the offender. Take it to God in prayer. Psalm 50:15 says, “Call upon me in the day of trouble.” That means that you can call upon God not only when outside troubles bother you but also when your heart is troubled. Tell Him how you feel and ask Him to heal your wounds. It may be that the Lord is going to deal with the offender directly and anything you say would make matters worse. Take your pain and grief to Jesus. He is the one who heals the brokenhearted. It may also be that God wants to work on the inside of you first before you go to confront your brother or sister. Maybe He wants to give you gracious words to speak instead of words of pain. Maybe He wants to work in you a spirit of humility before working on them through you. Whatever it may be, the first step must be taking it to the Lord in prayer. Whatever you do, resist the urge to retaliate. It will only make matters worse. The sermon on the mount is probably the most famous sermon ever given on planet earth. In that sermon, Jesus said these words. 38 “You have heard the law that says the punishment must match the injury: ‘An eye for an eye, and a tooth for a tooth.’ 39 But I say, do not resist an evil person! If someone slaps you on the right cheek, offer the other cheek also. 40 If you are sued in court and your shirt is taken from you, give your coat, too. 41 If a soldier demands that you carry his gear for a mile, carry it two miles. 42 Give to those who ask, and don’t turn away from those who want to borrow. With that in mind, do not cause offenses to increase by going around telling other people why you got hurt. As much as you might be tempted to gather around supporters for your cause, it only causes people to take on the offense that was given to you. In a way, you are creating them church hurt. It is a form of passive retaliation to cause people to take sides and lay blame on the people who have hurt you. Take ownership of your feelings. They are, after all, your feelings. It’s possible that your offender has no idea that what they said or did hurt you—and never meant to hurt you. If you approach them in humility seeking reconciliation, your offender may be quick to apologize. Let God Be God And Do The Work You Cannot Do. Part of being a Spirit-filled Christian is being led by the Spirit. It could be that the Lord is trying to give you a thicker hide and not be so quick to take offense. Many times because of the hurts of the past, unresolved issues in our hearts, or just because we have had a bad day, we take offense where no offense was meant to be given. There have been many times I have been hurt by churches and church people. The bottom line always comes back to one thing. No matter how wrong the offender was. No question if the offense was public or private. No matter how much the wound hurt and cost you personally. You have to forgive. Forgiveness is not for the other person—it’s for you. Forgiveness doesn’t justify what someone did that was wrong, nor does it necessarily mean that the relationship goes right back to where it was. If you do not forgive, you allow the opening for a root of bitterness to grow in your heart. That bitterness will eventually cause you to react or behave in ways that will end up hurting others. It will also pollute the wells of salvation in your soul. It will cause your worship, spiritual giftings, and your spiritual perceptions to become tainted. In the parable of the unforgiving servant, the result of unforgiveness is being thrown into prison with the tormentors. (Matthew 18:34) Jesus makes a compelling statement in verse 35. He says that God will do this to us if we do not forgive. When we do not forgive, we block healing and enable torment. As long as you hold on to unforgiveness, you will hold on to woundedness. Those wounds in your heart will continue to torment your mind and soul day after day, year after year, sometimes for the rest of your life. The way to find the power to forgive those that have hurt you in the church is to remember you are a recipient of forgiveness yourself. 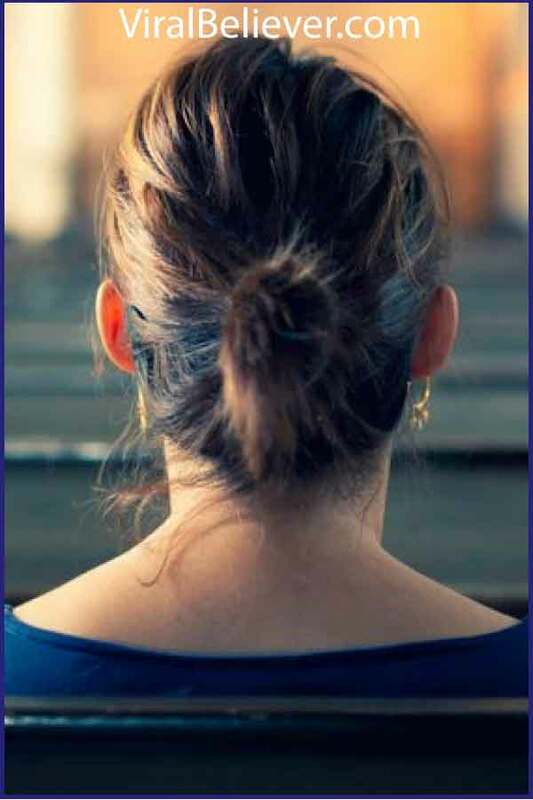 Think back to all the offenses you have committed against God, including the offense of unforgiveness towards a fellow recipient of grace, and realize that the debt you are being asked to write off, although real, is nothing compared to the debt you have had written off by God Himself who never did anything to wound you.